I am excited to share this interview with Tom Stewart, the founder of Sunki. Sunski is one of my favorite brands that I introduced to TB&C during my internship. In the interview with Tom, I got the chance to learn more about the sunglasses start-up, what it takes to build a sustainable brand, and Tom’s take on the role of a business in supporting local community. What inspired Tom to start Sunski? Sunksi was founded 8 years ago when Tom was living in New York with the co-founder. Tom wanted to do something off the beaten path after graduation in the post-recession economy and was wary of typical Columbia University-grad jobs. Tom expressed “Mother nature does not operate on a Monday-Friday schedule.” He wanted to balance work and play, have a deep connection with the outdoors, and create things that bring meaning and purpose to the world. What’s the best thing about Sunski? What has been most difficult? On the daily, Tom appreciates the people he gets to work with and the excitement that comes with entrepreneurship. For the company as a whole, Tom loves fulfilling a need and enhancing outdoor experiences for people that share a passion for the environment. However, building a functional business is not all about sunglasses. Maintaining culture and positive energy as the company grows is continuously at the top of the list. What role does Sunski play in promoting environmentalism and political activism? Sunski is a member of 1% for the Planet and the company has donated over $100,000 to-date! The founders care deeply about the environment, actively share that message, and want to enable people to make environmentally conscious choices. Sunski aims at having the best customer satisfaction in building the highest quality and lowest impact product. Though it took nearly 3 years to develop the recycled plastic frames starting with extensive research, and reformatting landfill material works in the Sunski mold, it delivers identical user experience. Tracking trash, denies single-use plastics, and eating less meat. If anything, what does Sunski do to quantify or determine the level of impact of the company? In addition to tracking trash, Sunski is beginning to track its carbon footprint. The company is working on reforestation projects to offset its impact on the environment. Tom and the team made the choice not to focus on making the office as green as possible so they could make a wider impact by making the frames as sustainable as possible. 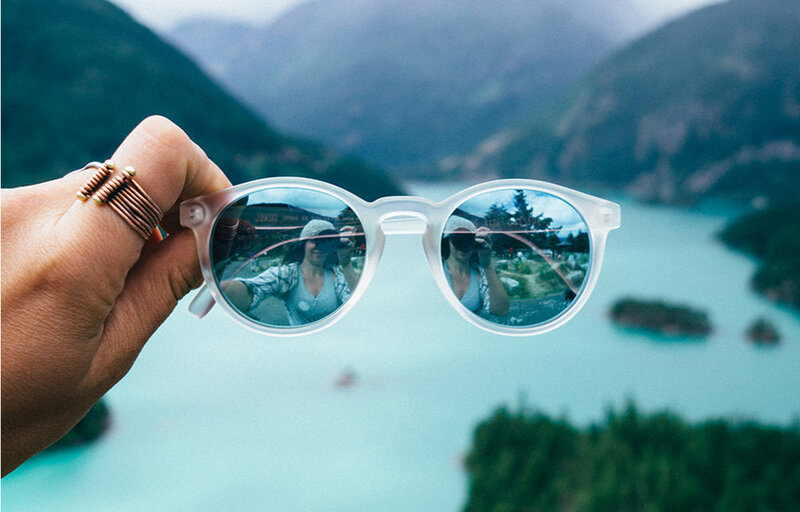 These intentional tradeoff decisions show how Sunski is committed to its environmentalist values while bringing forth high quality sunglasses. Being based in San Francisco, what role does Sunski play in finding solutions to the prevalent income disparities? Are there any initiatives led by Sunski to promote community impact and involvement? Sunski’s founders were overwhelmed by the number of donations they received on Kickstarter and promised to host a launch party to express gratitude. Living up to their promise, Sunski hosts Outdoor SF, an annual charity event that started in 2012. Outdoor SF gives Sunski an opportunity to express gratitude to their community. The event has raised over $50k! The lack of the physical retail store makes it difficult for Sunski to engage community members. As a result, Sunski’s business model heavily relies on its relationships with outdoor retailers, such as TB&C, that are able to connect to local communities in the most impactful ways. Although I learned a lot about Sunski as a brand, Tom’s experiences leading the company, and its sustainability efforts, my biggest takeaway from our conversation is that we all need to do more to understand what we like to do for fun before you choose your career path. Tom hopes that everyone gets to make the decision to spend more time outside, to give yourself a breather from work to gain a greater perspective on what you believe is most important in life. PS: Tom’s favorite frames are Dipseas! (Named after his favorite trail in the Bay Area). Rabina is a TB&C Sustainable Marketing Intern and an advocate for socially impactful business. She hopes to inspire people and companies to pursue a more sustainable future through the convergence of creativity and eco-friendly concepts.